Erin, wanted comfort and energy savings for her older home without the expense and damage caused by window replacement. 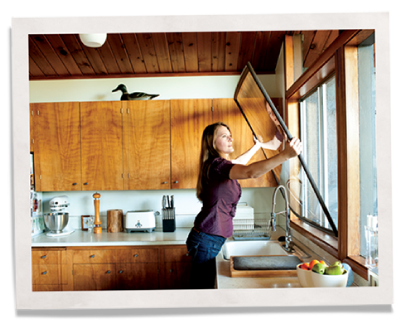 Her search led her to Indow window inserts, a new type of storm window for historic homes, but they install on the inside of the window without a mounting bracket. Indow inserts have the lightest touch, both physically and aesthetically, of any window insulation option for original windows. And they are much easier to use than exterior storm windows. Erin found that Indow window inserts are a great solution for improving the comfort and efficiency of her historic home. She even participated in a comprehensive, independent study by Portland State University that showed her Indow inserts saved almost 20% of heating expenses in four Portland homes.